The Centre is located on the shore of Castle Semple Loch; take a look at the webcam, great for seeing current weather conditions. Find out how to book an activity, get an idea of the equipment on site, our facilities, our staff as well as information on safety, our latest news, sports club details and useful web links (see below). “Disability need not prevent you having fun at Clyde Muirshiel Regional Park” The Park is continually aiming to be more accessible to all. Each booking is tailor made, please telephone 01505 842 882 Ex 21 or email us at activities@clydemuirshiel.co.uk providing details of your approx numbers, preferred activity or activities and dates. To book an advertised course please telephone 01505 842 882 Ex 20. Once you have booked, full details of the course or group booking, what to bring and indemnity forms will be sent to you. All courses run subject to minimum numbers being achieved. The Regional Park uses or has access to the following equipment, some of it is available for hire by group leaders or individuals, please contact the Senior Instructors 01505 842882 Ext 21 or email activities@clydemuirshiel.co.uk for details. 14 -16 foot open boats, all with solid foam buoyancy. Omega, Wayfarers, Toppers, Pico’s , Laser and Optimists. A wide variety of Sea kayaks, Touring kayaks, General purpose and sit on top. email martin@cyclerepairman.fsnet.co.uk for individual hires. 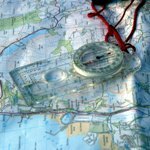 Ordnance survey Maps, Silva compasses and Garmin GPS equipment. Clyde Windsurfing provide all the windsurfing instruction and club activity on Castle Semple Loch, with excellent adult courses and kids T15 coaching along with lots of fun stuff. Contact the Clyde Windsurfing Club. The Centre provides fully accessible changing room facilities with hot showers and lockers and a dedicated tuition room. The Café and gift shop with a great view over the loch sells hot and cold drinks, hot and cold pre packed sandwiches, pot noodles, cup-a-soups, crisps, chocolate, cakes, health bars and ice cream. The Equipment is stored on site ready for immediate use. The Loch, Castle Semple Loch is 2.5 km long and 0.5 km wide. 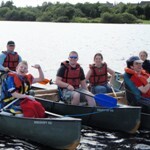 It is a safe and sheltered environment to learn water sports, do team challenges or even sail a model boat! Meeting Room there is dedicated space for approximately 30 people for any pre or post outdoor activity requirements; this should be requested at time of booking. Boat Storage for canoe, kayak or sailing dinghy up to 16 feet can be arranged through the Senior Instructors. The Countryside, in and around the Regional Park enables the delivery of a wide variety of land based activities such as mountain biking, archery, orienteering, team building as well as volunteer and conservation tasks.. The Ranger Service provide information on local walks & wildlife and work with lots of groups and schools. We think these are useful. There is usually something of interest going on, have a look on our news or twitter page for details. Your safety and enjoyment is of the up most importance to us. The Centre is licensed by the Adventure Activity Licensing Authority AALA No. R0447. All our instructors are suitably qualified, experienced and are first aid trained. Comprehensive safety guidelines are in place. These are based on National Governing Body recommendations from for example the British Canoe Union, the Royal Yachting Association Mountain Leader Training Board and Scottish Cycling. All outdoor activities require a level of physical fitness, if you have any concerns about the fitness level required to participate in your selected course contact the Senior Instructors. 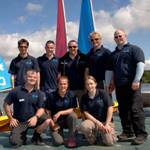 a team of four full time instructors as well as part time and sessional staff. There are cameras on the Visitor Centre tower, have a look to see what the weather conditions are looking like.